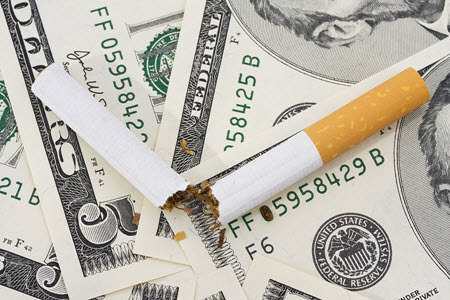 In 2010, TRDRP funded three independent analyses of the statewide investment in tobacco control and its effect on smoking rates in California and the associated health and economic costs. The studies showed that the California tobacco control program, which is funded primarily through tobacco excise taxes, has directly contributed to the lower smoking rates and fewer lung cancer diagnoses that we enjoy in CA compared with the rest of the country. Between 1989 and 2008 the state invested $2.4 billion in tobacco control resulting in a whopping savings of $134 billion in healthcare costs. The studies also showed that an increase in that investment, which would have occured if the proposed $1 increase in tobacco tax had been adopted in 2012, would have led to a savings of over $3 billion in smoking-related healthcare costs between 2012 and 2016. In light of the changing landscape of tobacco use, access to healthcare, and the California economy, the economic models developed for those studies were recently updated with current data, including the proposed $2 increase in tobacco taxes that was recently approved by California voters (Proposition 56). See the links below for more detail.